Tarkeshwar Sukhadev Wankhade*, Pravin Raghunathrao Joshi, Suraj Laxmansingh Thakur, Mante G B. BACKGROUND: Eye is considered as one of the prime sensory organ and is a vital necessity to take care of them by all means. All the Acharya of Ayurveda have mentioned various measures for maintaining the eye in healthy way which includes usage of diet and medicine judicially. AIM: To identify and categories various Ahara (diet), and Aushada (medicine) from the available literatures which are indicated to maintain the healthiness of the eye. METHODOLOGY: The present literary review has been undertaken to identify the above mentioned categories of substances which are wholesome (Chakshushya) and unwholesome (Achakshushya) for eyes or eyesight from the lexicons Charaka Samhita, Susruta Samhita and various Nighantus. RESULTS: The literary study reveals references of 105 single herbal drugs, 36 single mineral drugs and 97 Ahariya Dravyas (dietary substances) which are considered to be Chakshushya. Furthermore, the references pertaining to aspects of Achakshushya Dravyas are also incorporated. CONCLUSION: The concept of Chakshushya refers to those which are wholesome or beneficial to eyes or vision. Chakshushya Darvyas mentioned in the materia medica of Ayurveda has a gross area of actions which includes drugs having preventive, therapeutic, nutritive and rejuvenating properties. Tarkeshwar Sukhadev Wankhade , Pravin Raghunathrao Joshi, Suraj Laxmansingh Thakur, Mante G B. Concept of Chakshushya in the Materia Medica of Ayurveda. J. res. tradit. med. 2017; 3(2): 55-63. Tarkeshwar Sukhadev Wankhade , Pravin Raghunathrao Joshi, Suraj Laxmansingh Thakur, Mante G B. Concept of Chakshushya in the Materia Medica of Ayurveda. http://www.tmjournal.org/?mno=277797 [Access: April 19, 2019]. Tarkeshwar Sukhadev Wankhade , Pravin Raghunathrao Joshi, Suraj Laxmansingh Thakur, Mante G B. Concept of Chakshushya in the Materia Medica of Ayurveda. J. res. tradit. med. (2017), [cited April 19, 2019]; 3(2): 55-63. Tarkeshwar Sukhadev Wankhade , Pravin Raghunathrao Joshi, Suraj Laxmansingh Thakur, Mante G B (2017) Concept of Chakshushya in the Materia Medica of Ayurveda. J. res. tradit. med, 3 (2), 55-63. Tarkeshwar Sukhadev Wankhade , Pravin Raghunathrao Joshi, Suraj Laxmansingh Thakur, Mante G B. 2017. Concept of Chakshushya in the Materia Medica of Ayurveda. JOURNAL OF RESEARCH IN TRADITIONAL MEDICINE, 3 (2), 55-63. Tarkeshwar Sukhadev Wankhade , Pravin Raghunathrao Joshi, Suraj Laxmansingh Thakur, Mante G B. "Concept of Chakshushya in the Materia Medica of Ayurveda." JOURNAL OF RESEARCH IN TRADITIONAL MEDICINE 3 (2017), 55-63. Tarkeshwar Sukhadev Wankhade , Pravin Raghunathrao Joshi, Suraj Laxmansingh Thakur, Mante G B. "Concept of Chakshushya in the Materia Medica of Ayurveda." 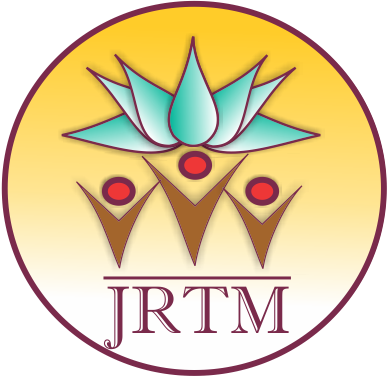 JOURNAL OF RESEARCH IN TRADITIONAL MEDICINE 3.2 (2017), 55-63. Print. Tarkeshwar Sukhadev Wankhade , Pravin Raghunathrao Joshi, Suraj Laxmansingh Thakur, Mante G B (2017) Concept of Chakshushya in the Materia Medica of Ayurveda. JOURNAL OF RESEARCH IN TRADITIONAL MEDICINE, 3 (2), 55-63. J. res. tradit. med. Year: 2017, Volume: 3, Issue: 2: 55-63.